If you’ve ever taken an extended vacation with teenagers, chances are, you’ve found yourself wondering when they will come out of the bathroom and join the rest of the family. If you’re traveling with teens, do everyone a favor and book a rental with more than one bathroom to avoid this vacation rental mistake. If you’re visiting with little ones, be sure to inquire about specific bathroom layouts. Otherwise, you might find yourself with a toddler, a separate shower and a single Jacuzzi tub, which is rarely a practical combination. 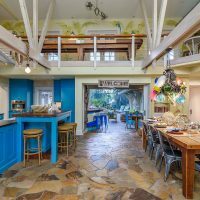 Getting more space for your money — and more elbow room for everyone in the family — is one of the major advantages of booking a vacation rental versus a traditional hotel room, says Jon Gray, Senior Vice President for the Americas for HomeAway, the world’s leading online marketplace of vacation rentals. When booking a rental, it’s important to get the right space for your family’s needs, so you can avoid making a vacation rental mistake. “It’s just like when you’re choosing the right permanent residence,” explains Gray. “A vacation rental provides you with a lot of space, but oftentimes, the configurations of the rooms are quite different.” To get the most space for your money, suggests Gray, thoroughly research the layout of the available options and select an appropriate choice for your family’s unique makeup and style. “If you have kids that really want their own room, it’s important,” says Gray. If you book a rental near the perfect beach, yet can’t get much sand time in due to bumper-to-bumper bridge traffic, the stress of a prolonged commute is likely to deflate your vacation joy pretty quickly. Before you buy, take the time to research local traffic patterns in relation to the places you plan to spend the most time on your vacation. Spots like theme parks, monuments and attractions are best enjoyed when they are easily accessible, and when transit time and traffic flow are at a minimum. 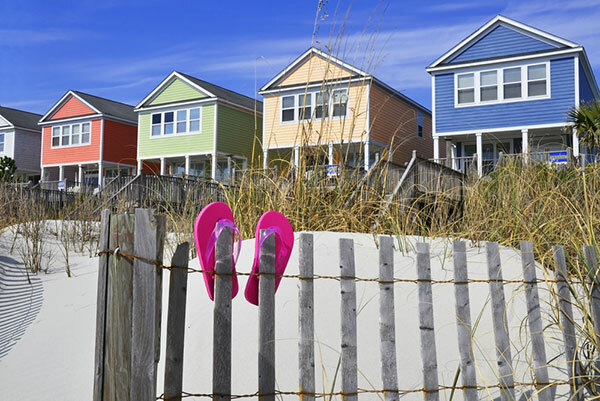 Avoid this vacation rental mistake by doing your research in advance. There’s no question that choosing to eat in, versus dining out at restaurants, saves you money — as well as mealtime stress — when vacationing with children. But by the time you stock up on condiments, spices, pantry items and cooking supplies, you might be surprised to see your margin of savings has seriously depleted. When booking a rental with kitchen facilities, you can conserve cash by bringing some shelf-stable items from home. You can also stretch your budget by buying basics, like salt and pepper, sandwich condiments and disposable storage items at the nearest dollar store. If you’re sharing a rental with another family, sharing the cost of groceries is another smart savings strategy to avoid a vacation rental mistake. Alternatively, you can always skip the stocking altogether and hire a vacation chef — a personal chef who, for approximately the cost of a restaurant outing, will shop, cook, clean and serve dinner for you. He or she will even store meals for days to come! To locate a vacation chef in a particular destination, visit the United States Personal Chef Association or inquire with the property owner or vacation rental manager about local concierge and personal chef services. 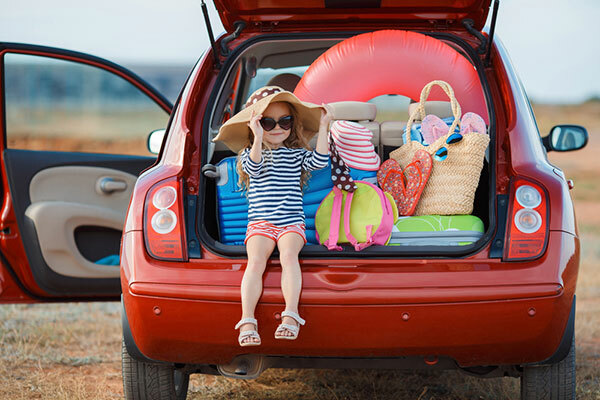 When getting things together for your extended family vacation, does your fear of leaving behind something valuable cause you to veer towards carrying excess equipment, often to the point of discomfort or even embarrassment? Before you pack the snorkeling gear, the nursery and the kitchen sink, take stock of what’s a necessity versus what you can acquire once you reach your vacation rental destination. Items like children’s equipment, beach toys and bicycles can most often be borrowed — or delivered — locally. Avoid this vacation rental mistake by only packing what you’ll need. If you’re planning a ski vacation in Vermont, booking a property with a working fireplace and a functional recreation room might make the difference between a truly memorable experience and one that gets lukewarm ratings from your traveling crew. Likewise, if you’re visiting Mickey and the gang at Disney World in the summer, finding a rental with a private swimming pool will allow everyone a cool break when they need it most. When selecting a vacation rental, pay attention to amenities that will provide meaningful comfort for your family. And don’t forget about the security items that are most important to you and your children. If your child has a special something that he needs to help him nod off to sleep and you can’t make arrangements to purchase or borrow it onsite, be sure to bring it from home. If you’re lucky enough to locate a vacation rental with a private swimming pool, your kids will probably be ecstatic. However, if you don’t budget ahead of time for pool heat, the added cost could quickly put a damper on your family’s extended outdoor party. 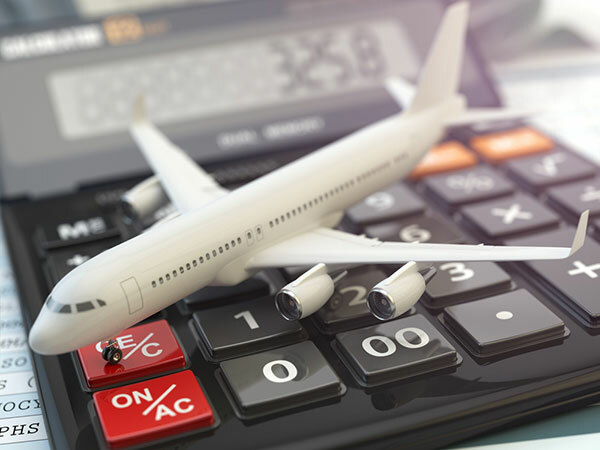 Be sure to plan in advance for all costs associated with your vacation rental, and factor them into your total holiday budget in order to avoid this vacation rental mistake. In addition to swimming pool heat, typical expenses include cleaning, taxes and management fees. Some rentals offer additional optional fee-based amenities, such as concierge service, vacation rental decorating, discount attraction tickets and local transportation. “Guests should only book reservations over a secure website or phone system that has the ability to accept major credit cards,” advises Steve Trover, Chief Executive Officer at All Star Vacation Homes, a vacation rental management company with more than 250 vacation properties in the Orlando area, and an expanding inventory in Captiva Island, Florida. Remember that when you’re dealing with an independent owner, you’re typically less covered if things go wrong, and it will take longer to recover your investment and vacation plans. Steer clear of independent sites like Craigslist, and instead consider established entities such as All Star Vacation Homes, FlipKey (a TripAdvisor affiliate) and HomeAway (which operates HomeAway.com, VRBO.com and VacationRentals.com). These sites protect the information of sellers and buyers and offer in-house security and fraud protection, as well as optional travel insurance. Besides reading the rental agreement carefully and asking about specific items before reserving a home, Trover recommends potential renters read guest reviews and look for third-party endorsements on vacation rental websites. “Checking to see whether properties and rental agencies belong to industry associations such as AAA, Better Business Bureau, Vacation Rental Managers Association and tourism organizations is another way to confirm their credibility,” he suggests. By the time your kids are in middle school, it’s hard not to be a slave to the school calendar. 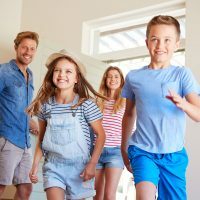 If you have the flexibility, you can save tons of money and avoid major crowds by avoiding travel during busy school vacation times while also avoid any vacation rental mistakes. So what if school breaks are the only time you can travel? “If you stay at peak time, you’re going to pay a premium,” acknowledges Gray. To get a good deal, he suggests leveraging the shoulder seasons based on location (summer in the mountain areas, and after the kids go back to school, in beach areas). No matter what your travel needs, you can use lead-time to your advantage, says Gray. “The average booking window is about 90 days in this business,” he explains. 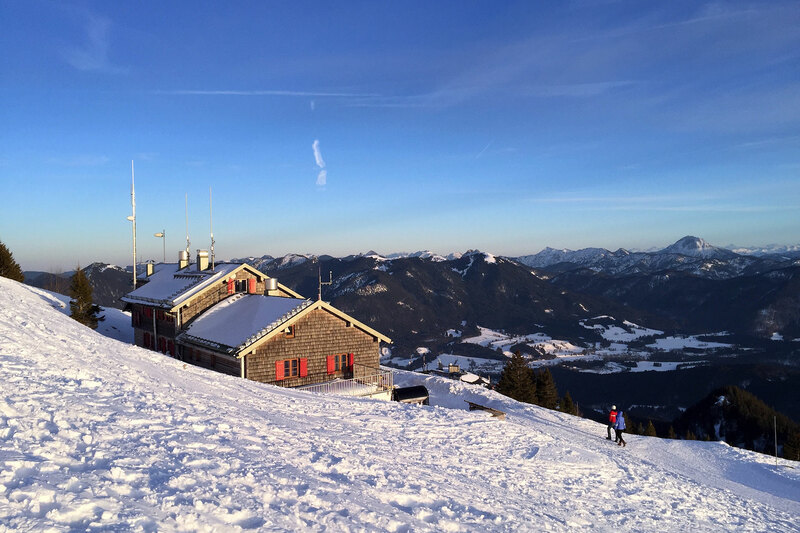 “You either want to book early and have a great selection, or you can book late and take advantage of great last-minute deals.